Viknesh Vijayenthiran July 2, 2012 Comment Now! 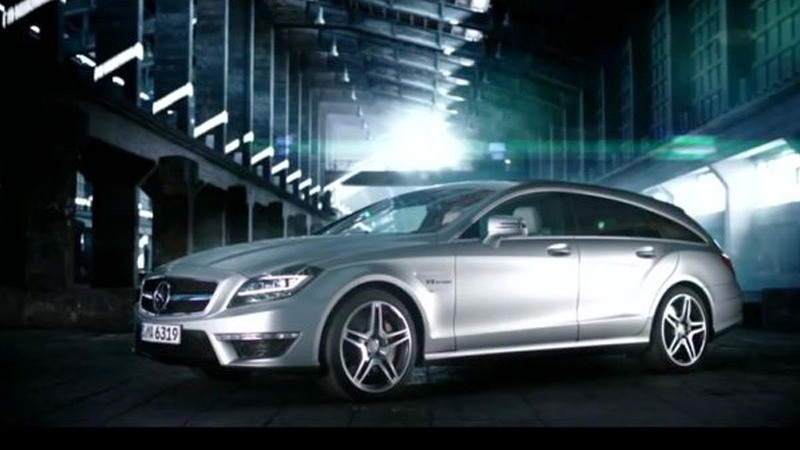 The first images and details for the CLS63 AMG Shooting Brake, the high-performance version of the recently revealed 2013 Mercedes-Benz CLS Shooting Brake, have hit the Web ahead of the car’s expected debut at the 2012 Paris Auto Show this September. 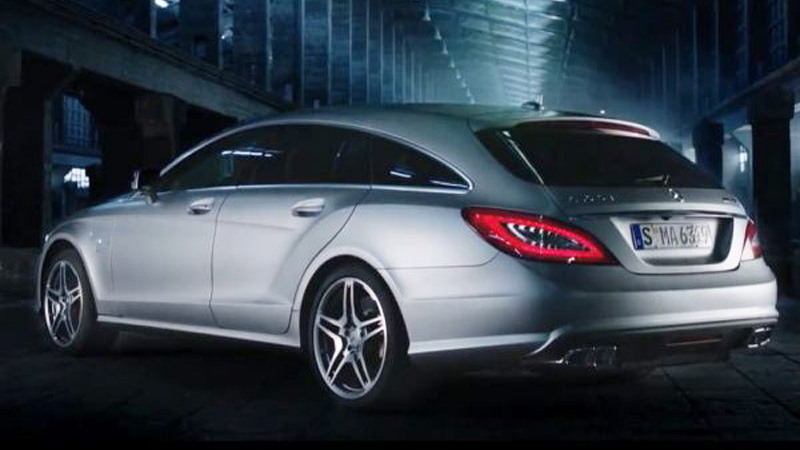 Looking just like the concept version unveiled in 2010, the production CLS Shooting Brake should be one of the best looking cars on sale this year, though sadly the car has been ruled out for U.S. sale at present. First sales will start in Europe this November, with both the regular CLS Shooting Brake and sporty CLS63 AMG Shooting Brake expected to make simultaneous showroom appearances. Though most of its internals are shared with the CLS63 AMG four-door coupe, the CLS63 AMG Shooting Brake is unique from the windshield back. In particular, the car has a longer wheelbase, providing extra legroom for backseat passengers and additional storage space--up to 54.7 cubic feet with the rear seats folded down. Drive will come from AMG’s latest twin-turbocharged 5.5-liter V-8 channeling a healthy 525 horsepower and 516 pound-feet of torque through the rear wheels. An optional Performance Package should up the output to 550 horsepower and 590 pound-feet of stump-pulling torque. In the four-door coupe variant, this powerplant is good for 0-60 mph runs in the low 4.0-second bracket and limited top speed of 155 mph. Expect similar performance with the stylish wagon bodystyle. 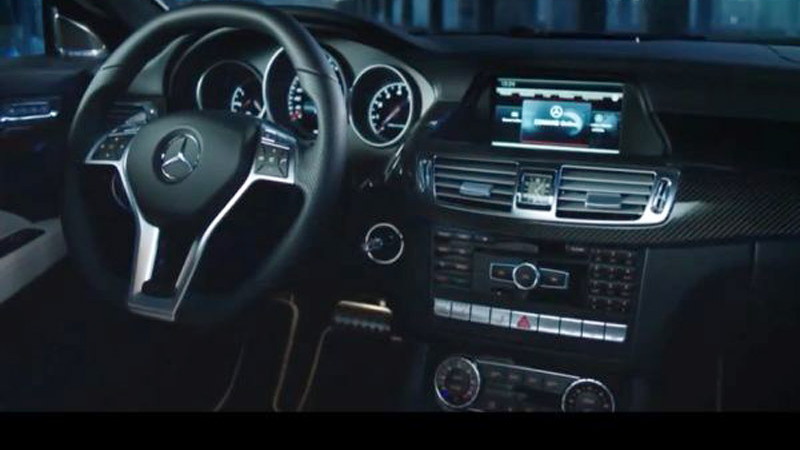 Other AMG specific mods should include an AMG SPEEDSHIFT seven-speed automatic with a trio of modes to choose from including sport (S), manual (M) and controlled efficiency (C). The latter helps save fuel by relying on an engine stop-start system, smoother transmission mapping and earlier shifts. Automatic rev-matching and a RACE START launch control function should also be included. Handling will be improved over the regular CLS Shooting Brake thanks to the latest version of the AMG Adaptive Suspension damping system, as well as a custom front axle arrangement and AMG-specific electro-hydraulic steering. Official details should be released soon, but in the meantime head over to AutoVisie for more info.